I am now a BIG FAN of the Spellbinders Small Die of the Month and Large Die of the Month Club Kits. 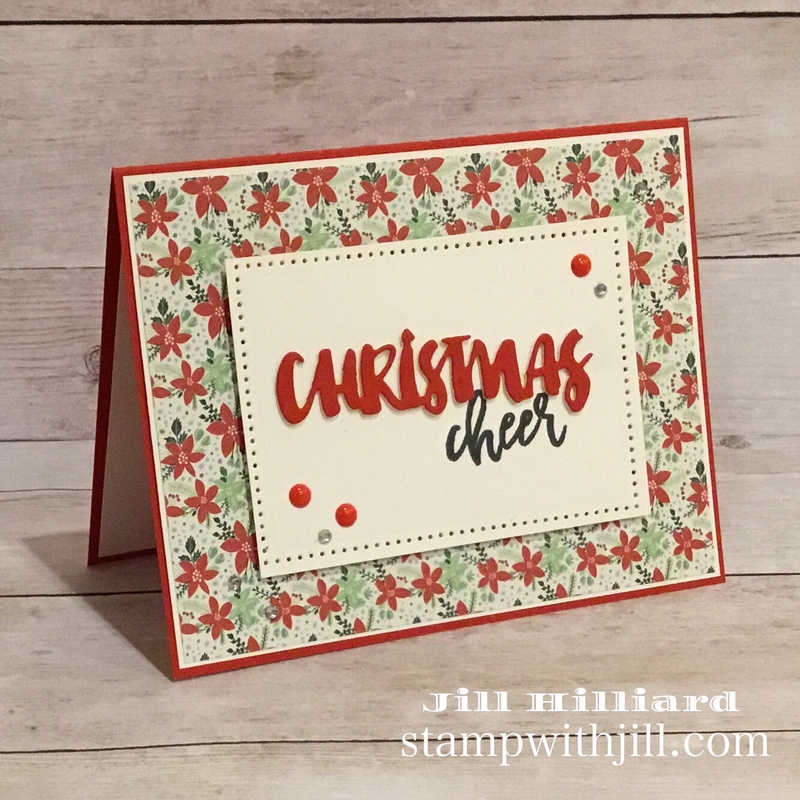 – in fact so far all of the Spellbinder’s monthly kits! If you’re looking to invest in an awesome monthly die club, this is it! I love having fun dies show up in my mailbox each month. 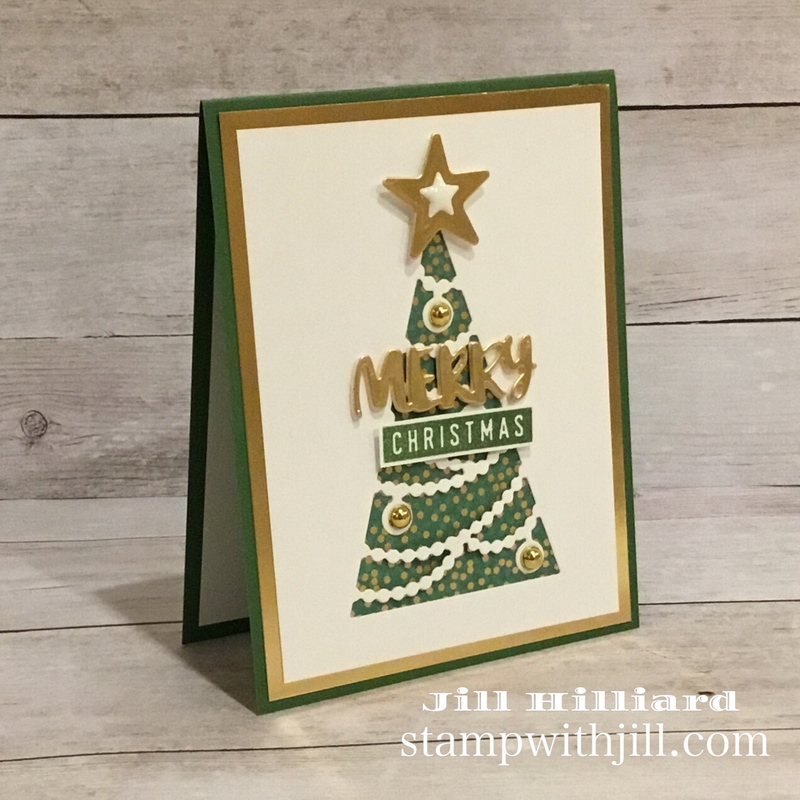 And this month’s dies… Christmas! And this month extends way past Christmas with stuff you probably already have in your stash! I added the Holly from the Snapshot frames die and the berries are Nuvo drops. 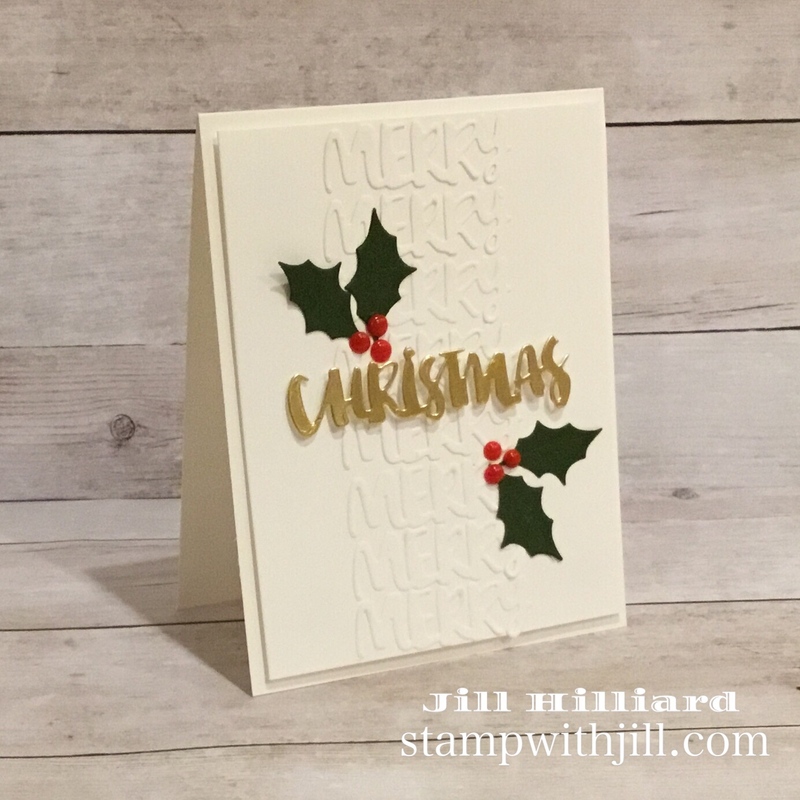 The Sentiment is from Concord and 9th Very Merry Sentiments and the rectangle piercing was cut from the Journey rectangle die set. For my 3rd card, I used some light blue Pan Pastels for the background and some sparkle silk and white Nuvo Drops. How fun are these word dies! Again the sentiment is from Concord and 9th and I just love that Frosty Snowflake (link below). Finally, my 4th card. I’ll have a 5th tomorrow as it warrants its own post! This combines both the small die and the large die of the month. Because more inspiration is always good, check out these cards on THIS POST to see a few more of the large die. 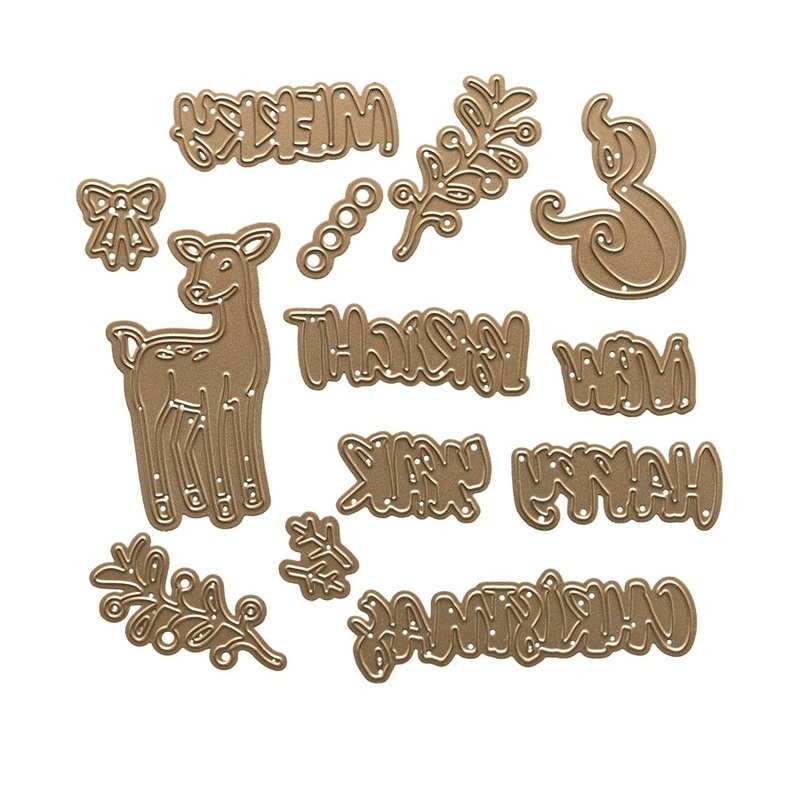 The words are MERRY, BRIGHT, CHRISTMAS, NEW, YEAR, HAPPY plus the ampersand and the deer and accessories! LOVE!!! If you love both clubs, you can subscribe to the value club kit that includes both the small and large die of the month kits HERE. There are only 3 days left to subscribe to get this die because on Dec 1 a new one is released. The Spellbinders Small Die of the month is ONLY $12.50 which is a great deal. No risk, cancel, skip a month or change your subscription at anytime with just a few clicks!